Device manufacturers usually give you a warranty for a year against manufacturing defects, during which you can get a faulty product repaired or exchanged at no charge. After that, you must bear the cost of repairs — which, if needed, are usually expensive. A few companies provide extended warranties for their own products, but GadgetCops offers extended warranties on purchases from online retailer Snapdeal.com. 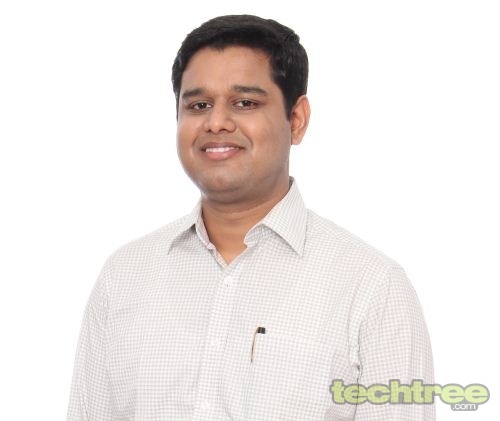 We spoke to Tony Navin, VP, Business Development at Snapdeal.com, to find out how this works. The service looks like an insurance policy. How much does a warranty cost, generally speaking? Is it a worthwhile investment for a consumer? The cost of a warranty varies according to item value. So if a customer buys a Rs 50,000 laptop, he wouldn't mind spending Rs 2000 to Rs 3000 for an extended warranty, insurance, and damage protection. It will not make sense for a customer to take this up for an inexpensive product. Our warranties are typically for more expensive gadgets such as mobile phones. They will soon be available for laptops. What gadgets and manufacturers are currently covered? Not all manufacturers are covered; GadgetCops has listed specific brands that it covers at present. The plan is to eventually cover the entire, growing range of handsets, tablets, and laptops. As of now, we're covering almost all the top brands such as Samsung, Nokia, and BlackBerry. Smaller brands are not covered, but they may be in due time. Does GadgetCops offer only extended warranties, or does it offer warranties in place of the manufacturer's warranty (that is, starting from the date of purhase)? GadgetCops provides an extended warranty from the day the product is purchased. This means you get an additional year's warranty after the manufacturer's warranty expires. The features of the GadgetCops warranty apply from the date of purchase, and not just during the extra one year extended warranty period. Is this kind of extended warranty better than what manufacturers offer? Does it cover everything (including accidental damage)? A GadgetCops warranty covers liquid damages, accidental damage, and all mechanical and electrical faults. Accidental damage includes internal physical damage and screen damage. Is there a service guarantee? That is, is the customer assured of receiving service within a certain number of business days? We usually attend to warranty–related issues within two business days. Apart from that, the time taken for a product to be repaired and returned depends on the manufacturer, and also on the magnitude of damage. Of course, we try to ensure prompt service. Does a customer have to carry a faulty product to GadgetCops, or does a technician pick it up from his location? One of the key features of a GadgetCops warranty is that the product is picked up from the customer (by our courier person), and returned after repairs. The pick-up and drop-off is free of cost, regardless of size of gadget. So, customers don't waste time and money trying to find the service centre and then travelling. We don't send service technicians to customers' locations and have the device repaired on-site. What warranty periods are available? Is there a lifetime warranty option for any product? The extended warranty is for 1 year. Customers can choose to keep adding GadgetCops protection of one year at a time. There is no lifetime warranty option. Are there any hidden costs for a customer (for example, shipping charges)? What happens when a manufacturer goes out of business? How do you handle the warranty in such cases? We expect, and fairly so, that manufacturers of high-value products covered under a GadgetCops extended warranty will not suddenly go out of business. However, in that eventuality, the warranty will still be honoured — it is not tied to the manufacturer, but to GadgetCops. For example, hypothetically, let's say BlackBerry goes out of business tomorrow. It won't mean that BlackBerry phones will not be serviced. What is the revenue model of the GadgetCops service? For every lead that we pass on, there is a revenue share between GadgetCops and Snapdeal.com. GadgetCops offers extended warranties only for Snapdeal.com users. Will this be extended to other online retailers? At least in the near future, GadgetCops will remain exclusive to Snapdeal.com.